« God’s Love is Like a Punch in the Gut? Some say that the church’s tent is big enough for everyone. Well, at times it seems like the big top at the circus. It’s a wonder that more don’t attend, because we certainly have been presenting the Greatest Show on Earth. Ladies and Gentlemen! Step right up! We proudly present you with some of the most interesting, audacious, outlandish oddities to be found anywhere on the planet. Feast your eyes and tell your friends! Tammy Faye Baker’s bottomless eyes! “Make Me a Christian”‘ reality TV show! Grandpa Jone’s down home racism! Lakeland Revival’s rival circus in a circus!! TBN’s “Star Trek” studio sets! Creflo “Million” Dollar’s Rolls Royce! Kenneth Copeland’s fleet of mighty jet planes! Paula White as Robin Hood in reverse! 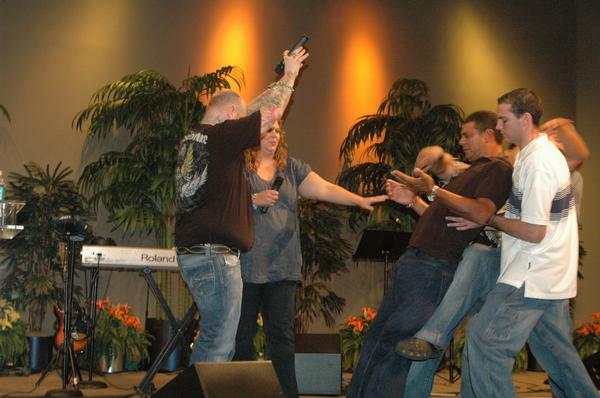 From the UFC – “Bishop” Weeks and “Prophetess” Bynum’s bloody wrestling match! 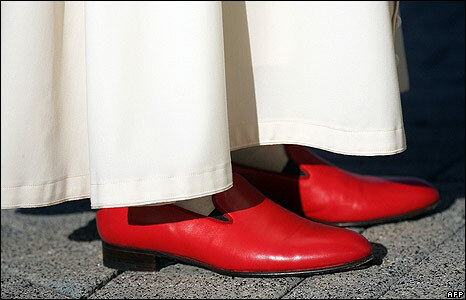 The Pope’s ruby red slippers! Fred Phelp’s merry band of bigots! Ruben Israel’s uncommon street savvy! Put it all together and whaddya got? Now that’s entertainment. Now, please don’t say that “Christians aren’t perfect”. Because it’s not a matter of being perfect, it’s a matter of being taken seriously. Which fewer and fewer people seem to be doing, with good reason. This entry was posted on August 25, 2008, 5:30 pm and is filed under Christianity, Culture, Religion. You can follow any responses to this entry through RSS 2.0. You can leave a response, or trackback from your own site.